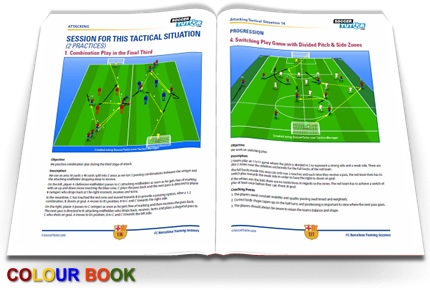 This special book is in FULL COLOUR book contains tactical and technical exercises that have been formulated from the tactical situations which are presented in the book ‘FC Barcelona: A Tactical Analysis - Attacking and Defending’. 1. To deeply analyse how and why Pep Guardiola’s Barcelona, possibly the best team of all time, used their specific tactics in different game situations. 2. Provide you with a training session for each tactical situation with progressive practices. Athanasios Terzis is a UEFA ‘A’ licence coach and has provided a full and extensive analysis of Pep Guardiola’s Barcelona team, often described as the best ever. Jose Mourinho’s Real Madrid: A Tactical Analysis - Attacking and Defending . (English & Japanese), Coaching the Juventus 3-5-2 Tactical Analysis and Sessions and Jurgen Klopp's Attacking and Defending Tactics. Average Customer Review: 4.5 of 5 Total Reviews: 44 Write a review. Some very good information/practices in this book. For the in-experienced coach there could have been more detail in the Coaching Points section for each practice. Highly recommend this book. 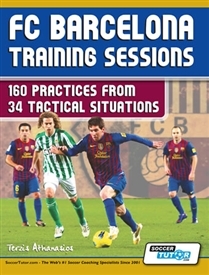 The authors did a great job in explain the objectives, description and coaching points of the drills. Love the progressions they added. The analyses allowed me to create further progressions and help the players realize how the have to attack and defend while playing a game. In my opinion, it also forces the individual player to become more in tune with the collective game.